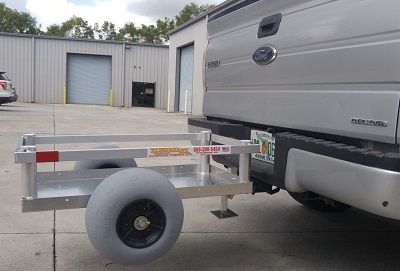 If you're looking for a high quality wagon to haul your cooler at the beach or carry your gears when you go out fishing, then check out this proudly American-made beach and fishing cart which helps you transport items of up 200 lbs with ease. 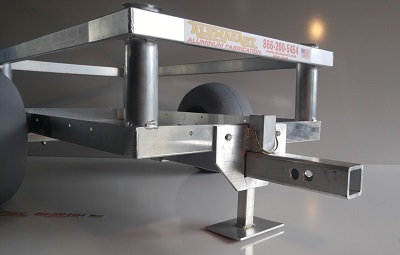 Boasting an all aluminum construction which will not rust and a welded fabrication, this cart is perfect for salty marine environment and is guaranteed to last for a long time. 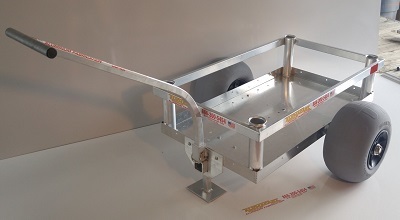 Its cargo area measures 15 ¼” x 31 3/8” and can accommodate up to a Yeti Tundra 50 cooler. 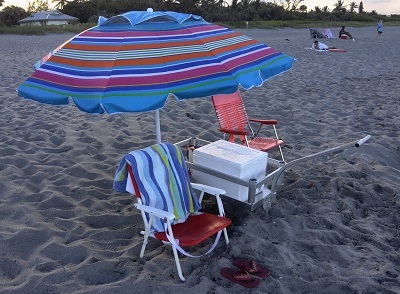 There are 4 rod holders welded to the frame where you can insert your umbrellas, fishing rods and other accessories. 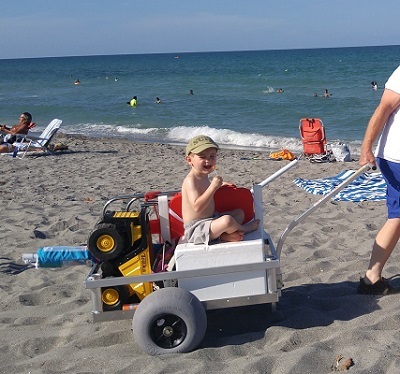 Its balloon polyurethane beach tires allow for easily gliding through sand, while its removable ergonomic handle makes pulling the wagon fully loaded a breeze and prevents lower back strain. 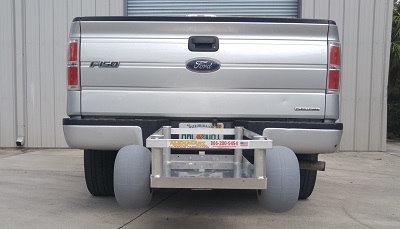 It features a built-in retractable receiver to slide into your truck or car's towing package, saving bed space. 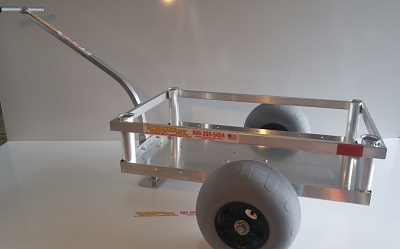 This wagon can also be used as a cargo carrier when gardening, camping, tailgating, etc.